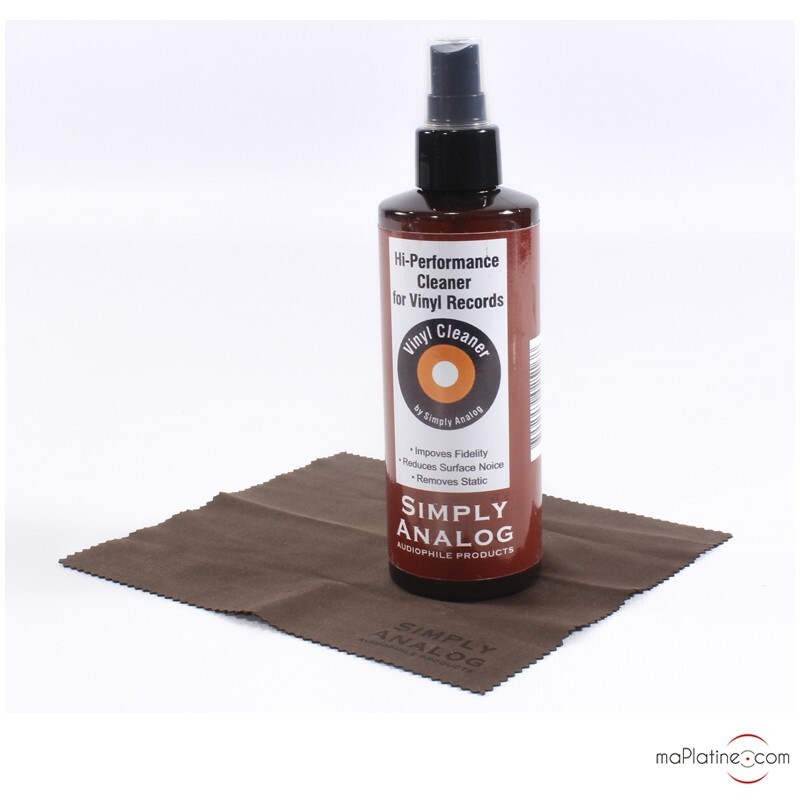 The brand Simply Analog offers a vinyl cleaner spray, delivered with a microfiber cloth. Therefore, you will have everything you need to easily clean your vinyl records. It is advised to use this spray with a microfiber brush such as the Okki Nokki microfiber brush. 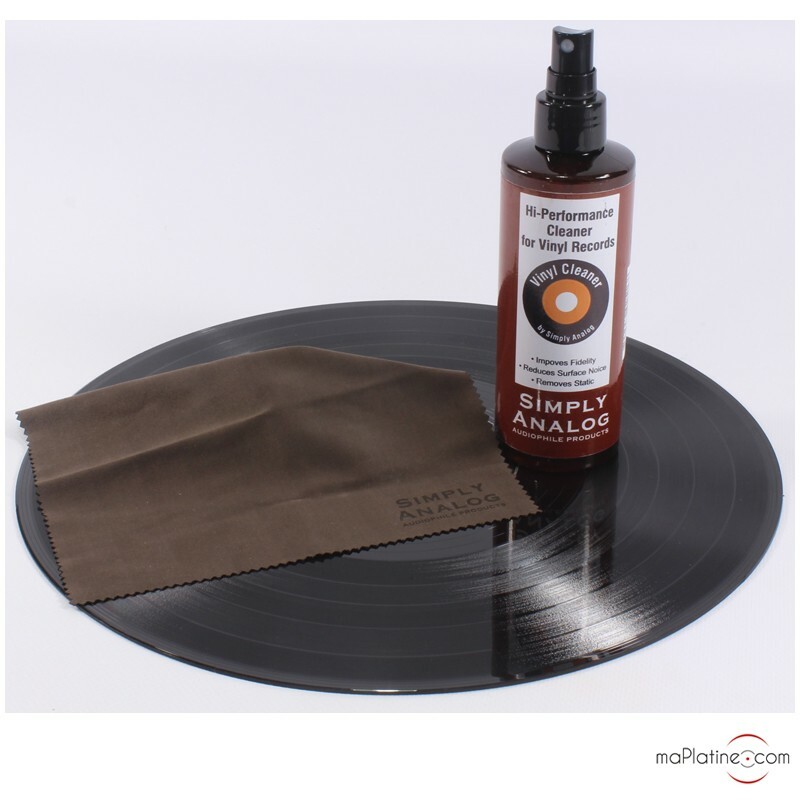 This vinyl record cleaner spray will remove dust, fingerprints, stains, static load and much more from the face of your record. This Simply Analog vinyl cleaner spray also reduces surface noise. It is practical and efficient!